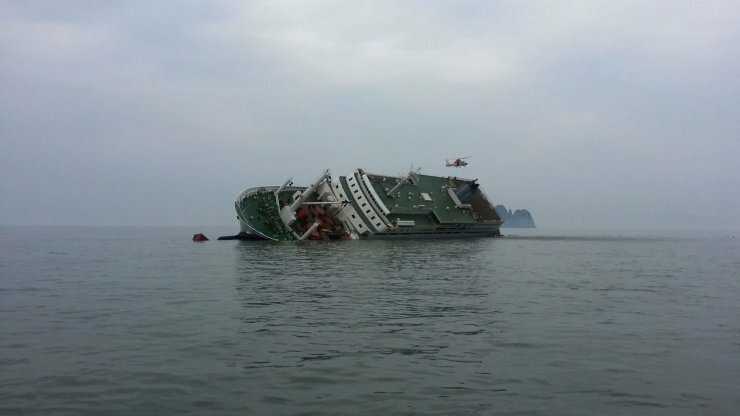 Upon release, summer blockbuster KUNDO: Age of the Rampant (군도:민란의 시대) broke the record for opening day admissions and helped to breath new life into what was a flagging year for Korean cinema…until it was soundly beaten a week later by maritime epic The Admiral: Roaring Currents. It’s particularly ironic that both tentpole films achieved such a feat, given that they contain such strikingly oppositional philosophies and content. While The Admiral focused on generating hyper-nationalism to achieve success, KUNDO opted for an anti-establishment sensibility, as a group of Robin Hood-esque outlaws band together to fight against the tyrannical Prince. Curiously, while the ideological leanings of each film differ, both suffer from a similar set of issues. KUNDO, while boasting impressive production values, competent directing and an array of popular stars, ultimately feels rushed and unfinished due to the poorly structured and conceived narrative. Centuries ago, Korea was a land in turmoil. With starvation and death commonplace, corruption in society was rampant, particularly amongst the ruling classes. In the face of so much injustice a group of working class heroes band together to rob from the rich and give to the poor, attempting to appease the suffering of the people. Yet in a nearby city, a greater villainy is brewing. Born to a nobleman and courtesan, Prince Jo (Kang Dong-won (강동원) seeks to usurp his father and reign over the land. Only one challenge to his rule remains – his sister-in-law and her son, the rightful heir. Butcher Dochi (Ha Jeong-woo (하정우) is hired to kill the pair, yet when he cannot, he is viciously betrayed and punished. Furious, Dochi finds a place with the band of thieves and begin their revenge as they plan to halt the Prince’s machinations. From the moment KUNDO opens, it’s clear that the production values are some of the highest in recent memory and are particularly outstanding. Director Yoon Jong-bin (윤종빈) and his team have noticeably worked hard to put striking visual detail in every shot, from the incredible costumes of the cast through to the great variety of landscapes and arenas in which the action takes place. The attention to detail generates a sense of sincerity and wonder, and is in itself an phenomenal achievement. 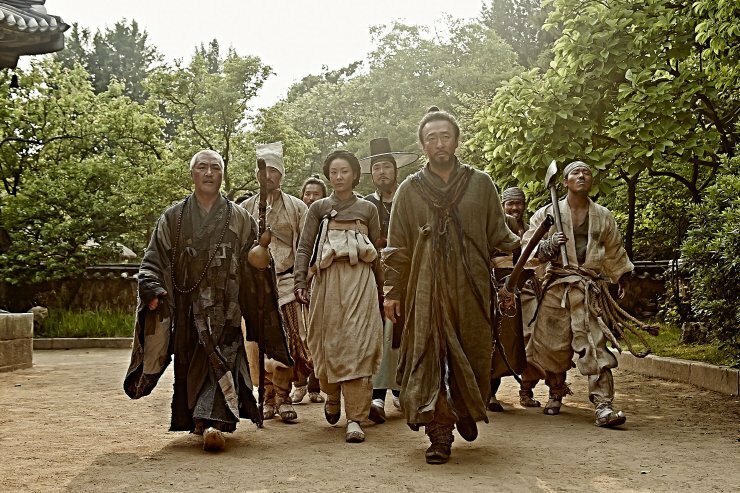 In regards to each member of the cast, their histories and occupations are wonderfully captured in their costumes whether it be a Buddhist monk, a butcher, or a wealthy prince and significantly contributes to the power of the film, an acute attention to detail that earned designer Jo Sang-gyeong the award for Best Costume Design at the 51st Daejong Film Awards. Yet where KUNDO falters is in the narrative structure, which is consistently haphazard. The story jumps between time lines and characters to confusing effect, and to compensate a random and quite sporadic voice-over attempts to help allay by filling in back stories and histories yet serves to provide only a further sense of disorganization. The poor structure is impossible to miss and insinuates even to the casual cinema-goer that several more drafts of the screenplay were needed before cameras started rolling. 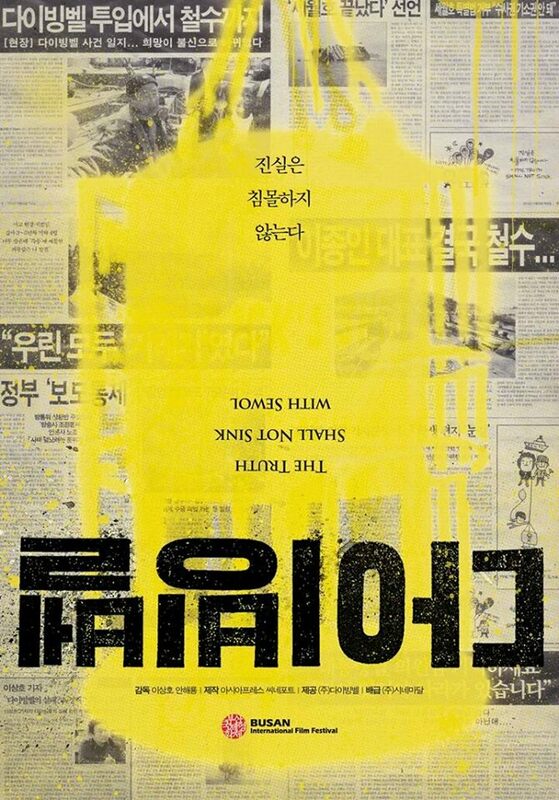 Screenwriter Jeon Cheol-bin is further hampered by an overly – and insanely – large cast which is a huge challenge for any scribe to make each character relevant. While Jeon has clearly worked hard to do so, the sheer amount of protagonists weighs down the film due to the attempt at giving everyone screen time, resulting in a story that lacks conviction or indeed compulsion, and one that is particularly hard to invest in. Such issues also afflict the actors. 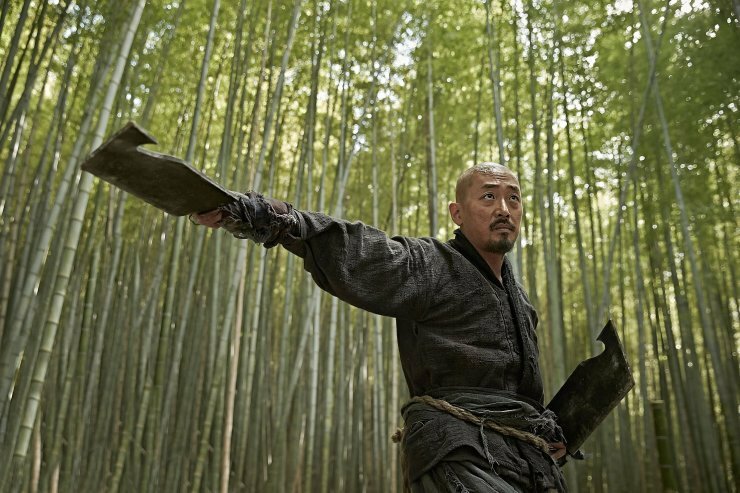 As KUNDO focuses primarily on Prince Jo-yoon and butcher Dochi, Kang Dong-won and Ha Jeong-woo have the greater chances to shine. 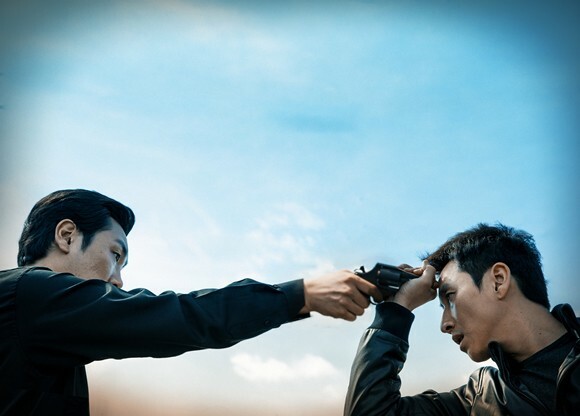 Ha Jeong-woo in particular seems to be having a great time as the butcher-turned-criminal with his cocky and self-assured performance certainly the most enjoyable aspect of the film. 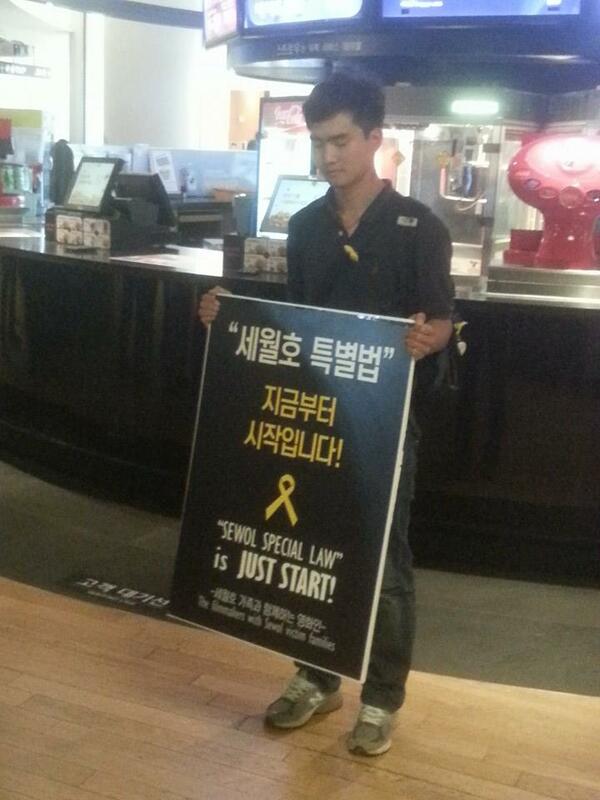 Kang Dong-won – in his first film role since completing mandatory military service – also appears to relish portraying the villainous prince. Yet for them and the rest of the enormous supporting cast, the lack of screen time results in highly capable actors providing competent performances, making KUNDO an entertaining but not especially compelling viewing experience. KUNDO: Age of the Rampant is a record-breaking tentpole film of 2014 by director Yoon Jong-bin. 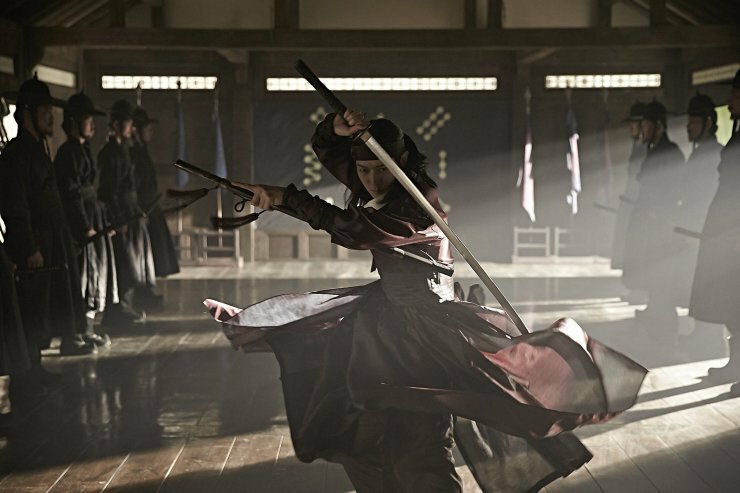 Boasting hugely impressive production and costume design as well as a host of capable actors including Ha Jeong-woo and Kang Dong-won, KUNDO is ultimately let down by a haphazard narrative structure, an insane amount of supporting characters, and a story that is hard to invest in. As a result KUNDO is an enjoyable, though unchallenging, viewing experience. 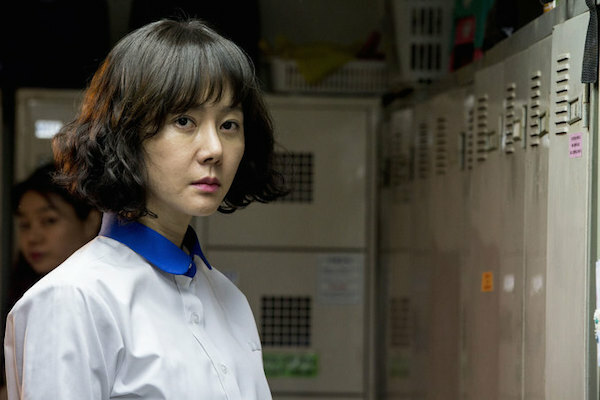 With only 3 months more service until she becomes a regular employee, supermarket cashier Seon-hee (Yeom Jeong-ah (염정아) works diligently for the position that will enable her to provide greater stability for her family. Despite the difficulties of raising wayward teenage son Tae-yeong (Do Kyeong-soo (도경수) and a young daughter (Kim Soo-an (김수안) alone, Seon-hee strives to make ends meet for them all. Yet when the supermarket officials decide to layoff all the workers in favor of cheaper labor, the mostly female staff – many of whom have worked with the company for years – are outraged. 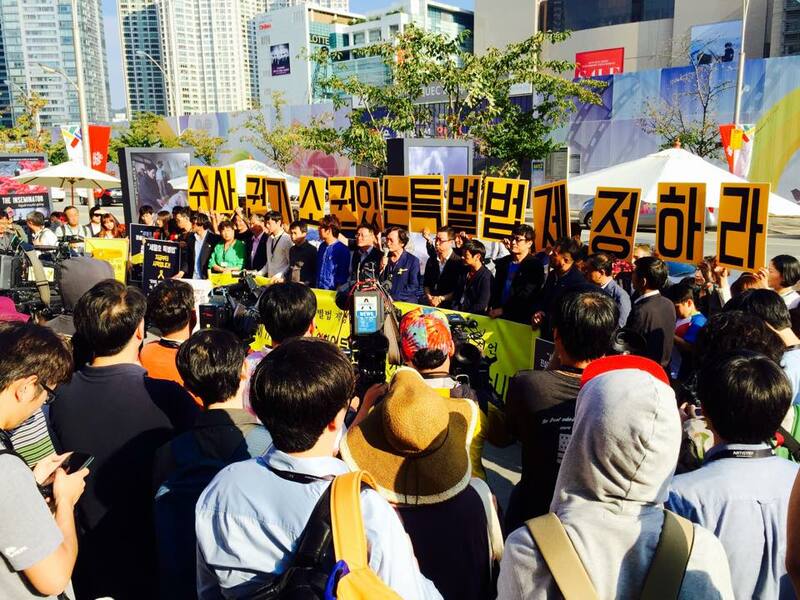 Led by fellow cashier Hye-mi (Moon Jeong-hee (문정희) and cleaner Soon-rye (Kim Yeong-ae (김영애), the women begin to unionize and issue demands for reinstatement. However when their efforts are ultimately ignored, the women decide that more drastic strike action is necessary for their voices to be heard. 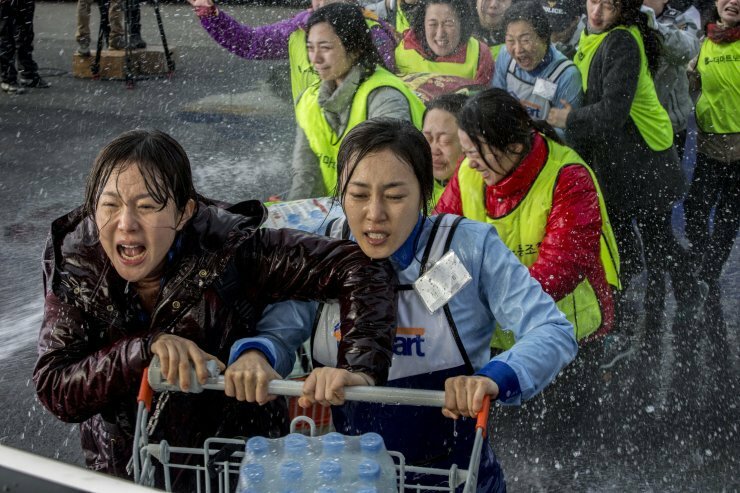 Based on a true story, director Boo Ji-young’s (부지영) Cart (카트) premiered to high acclaim at the Toronto International Film Festival, as well as later back home in native Korea at Busan. 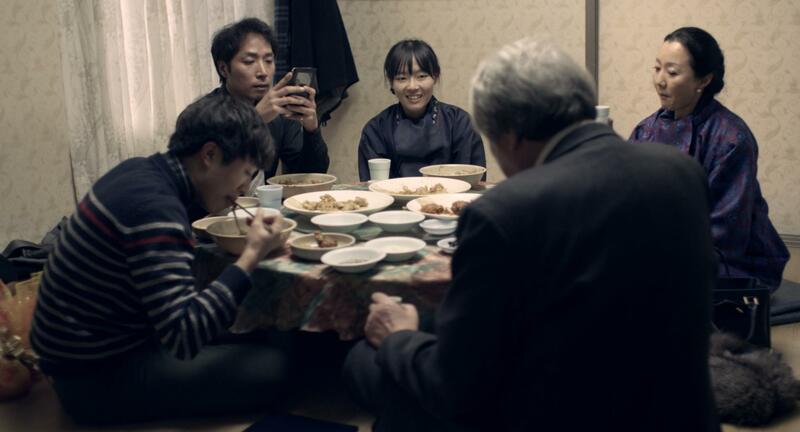 The drama is an incredibly impressive exploration of the issues plaguing the temporary workforce in contemporary Korea. From the very moment Cart begins director Boo effectively portrays the grueling monotony of menial labor, employing a brilliantly washed out colour palette in conjunction with fluid camerawork that depicts workers performing machine-like tasks under the watchful eyes of aggressive management, evoking the same sensibilities as Charlie Chaplin’s classic Modern Times. Rather than individuals, the workers are consistently framed as cogs in a machine hurriedly operating the factory-esque supermarket whilst robotically repeating phrases such as, “We love you, customer!” Director Boo wonderfully juxtaposes such hard work and empty slogans with the awful humiliations dealt by the customers and executives, while the workers themselves tolerate such human rights abuses simply in order to keep their jobs. The contrast between such scenes and the representation of the characters personal lives offer a powerful, provocative glimpse at class and gender warfare as well as social injustice in modern Korea. As the vast majority of the workers are underprivileged women, the film depicts the daily struggles of the female workforce as they endure abusive employment in order to desperately stave off poverty, emphasising an array of feminist issues with potent insight. Director Boo has crafted an empowering social rights drama, one which is a true rarity in both current Korean and international cinema. The range of characters within the film, each with their own dilemmas, poignantly capture the challenges facing modern women in society. 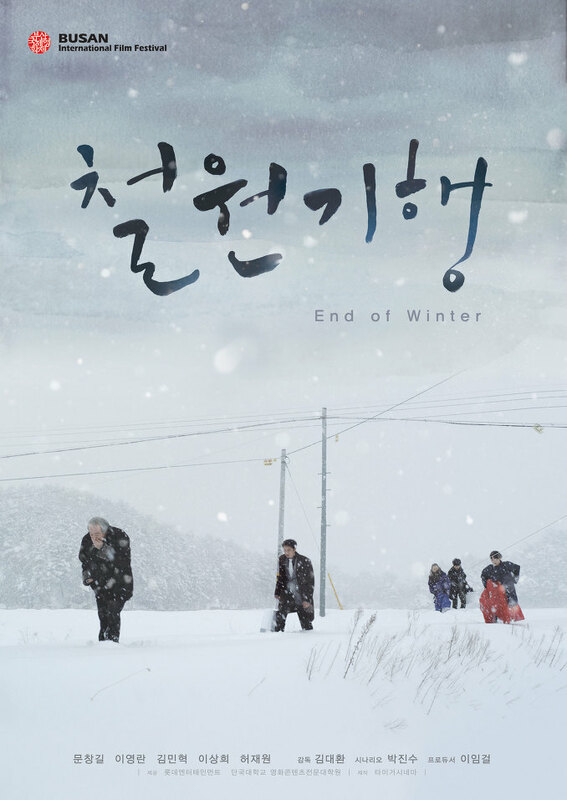 While Seon-hee and Hye-mi struggle to raise their children alone, Soon-rye exposes the plight of the elderly, while the inclusion of married protagonists as well as disaffected graduate Mi-jin (Cheon Woo-hee (천우희) convey the breadth and scale of discourses effecting contemporary women. Cart is a truly refreshing alternative to male-centered narratives, one that unequivocally portrays working class women as heroines in their own right. The power of Cart lies in the conflict between the mostly female workers and the male executives, as the unfair dismissals result in unionization, and the ignorance of which in turn spurs strike action. 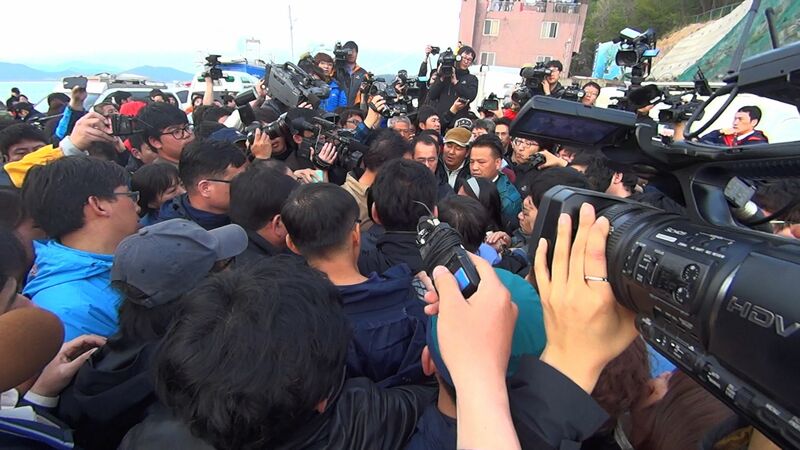 Director Boo structures the escalation of hostilities between both sides with skill, as the workers who stage peaceful protests with colourful clothes and slogans are confronted by the dark bullying tactics of the company. In so blatantly portraying the corruption and underhand manner of the corporation, director Boo has produced a challenging and provocative film that will undoubtedly ruffle feathers amongst the conservative upper classes, who are depicted offering bribes, employing gangsters, and hurting innocents in the bid to continue profits and to save face. Yet director Boo also implicates government agencies in the scandal, particularly the police force and their unnecessary brutality, as the women peacefully demonstrate against injustice, making Cart not only an insightful film but a courageous one too. Cart does however suffer from a case of over ambition as too many protagonists feature, which ultimately makes it difficult to invest in all of the narrative threads that arise. All the characters certainly add a perspective on the discourses through the film, yet as there are so many tangents it’s difficult to invest in every one. Screen time is mostly ascribed to Seon-hee and her family, and an impressive contrast is made between her and her difficult son Tae-yeong, implying the conditioning of the populace as automatons as one that begins from a young age. However Tae-young’s story line, in which he becomes attached to prospective girlfriend Soo-kyeong (Ji Woo (지우), is a little trite and appears to be a device to attract teenage audiences. 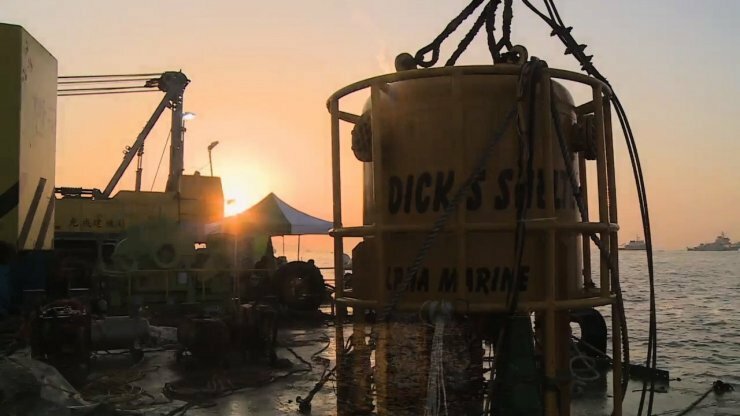 Scenes such as these, and others that feature the quite cheesy musical score, sometimes threaten to put Cart in TV drama territory, yet director Boo never lets the story stagnate and consistently keeps the drama moving apace. Cart is moving, provocative glimpse at class and gender warfare as well as social injustice in modern Korea. 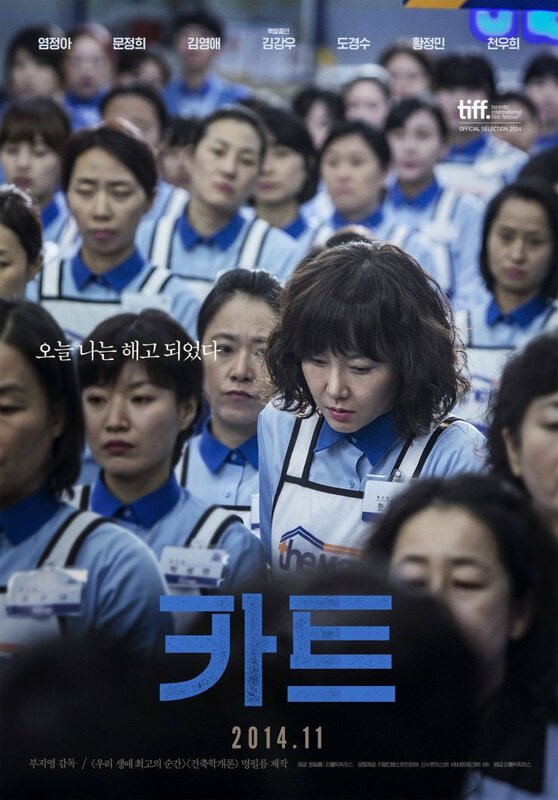 In depicting the unfair working conditions and the incredibly strong women attempting to stave off poverty, director Boo Ji-young has crafted an empowering social rights drama, one that examines the status of human rights and feminist issues with insight and sincerity. 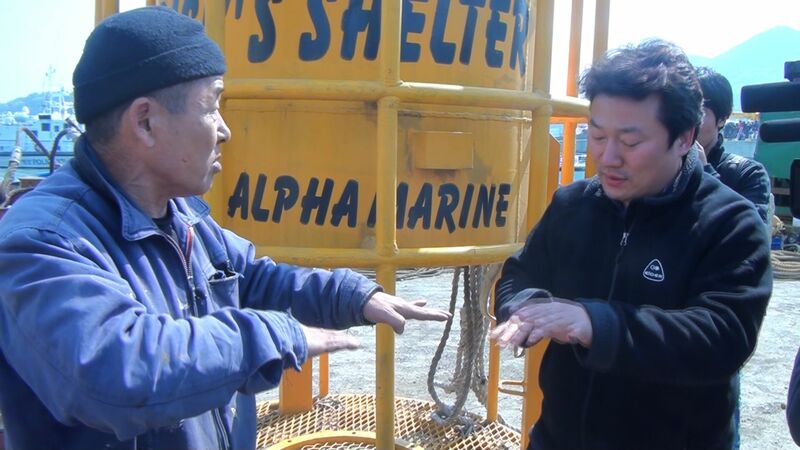 A powerful film, Cart is a real rarity in both contemporary Korean and international cinema. As the vice-president of a leading cosmetics company, Oh Sang-moo (Ahn Seong-gi (안성기) is every bit the diligent leader, working hard to ensure the brand is a success. Yet when his wife (Kim Ho-jeong (김호정) is diagnosed with a terminal brain tumour, Sang-moo dutifully divides his time between taking care of her and fulfilling his role at work, attending the company during the day and sleeping at the hospital at night. Tired and stressed from the routine, Sang-moo’s attentions are suddenly diverted when Choo Eun-joo (Kim Gyu-ri (김규리), a young and beautiful new manager, joins the office. While Sang-moo strives to adhere to his responsibilities his mind begins to drift towards Eun-joo, creating a torrent of conflicting emotions that only seem to become more and more difficult to control. As his 102nd film, Revivre is director Im Kwon-taek’s finest, most accomplished work in years. Rarely do films manage to capture such fraught emotional complexity as contained within Revivre, conveyed with a subtle, elegant grace that wonderfully displays director Im’s wisdom and prowess. 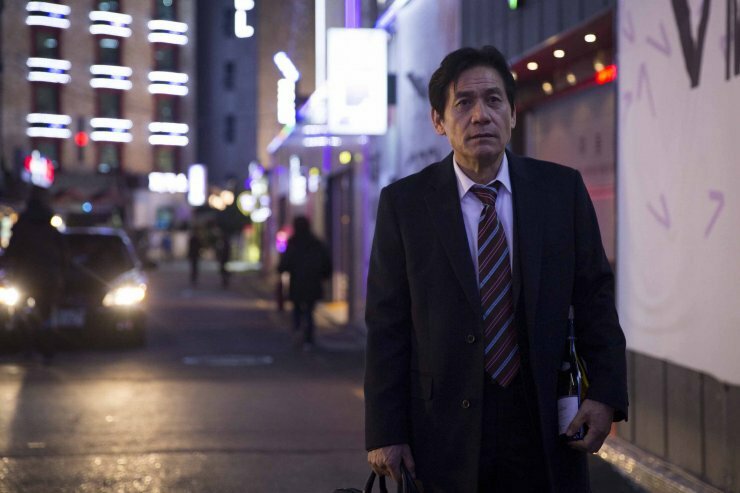 Similarly, Ahn Seong-gi provides a towering performance as the emotionally conflicted VP, whose tempered, poignant portrayal is captivating throughout. In lesser hands Song Yoon-hee’s script would be a standard drama, yet through director Im and Ahn’s collaboration the story delicately unfolds in a classic, dignified fashion that only they, with their combined life and filmic experiences, could possibly accomplish. Revivre is at once both an incredibly complex and wonderfully simple tale. 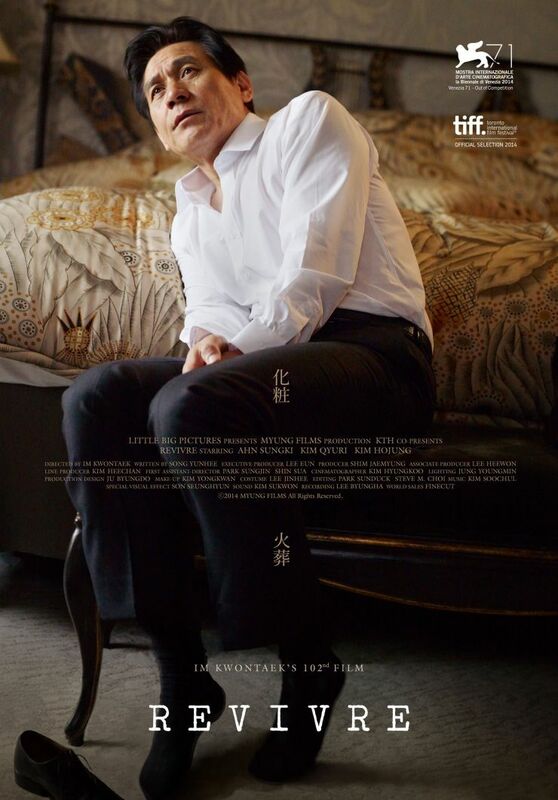 The story of a middle-aged man whose gaze is diverted by a younger attractive woman is nothing new in cinema, yet the drama is infused with a startling array of poignant nuances that allude to the great psychological and emotional anxieties Sang-moo experiences. Moments that feature Sang-moo’s inability to urinate due to stress, and the emotionless manner in which he takes care of his sick wife, articulate a keen gravitas and so much more than dialogue could possibly hope to achieve. 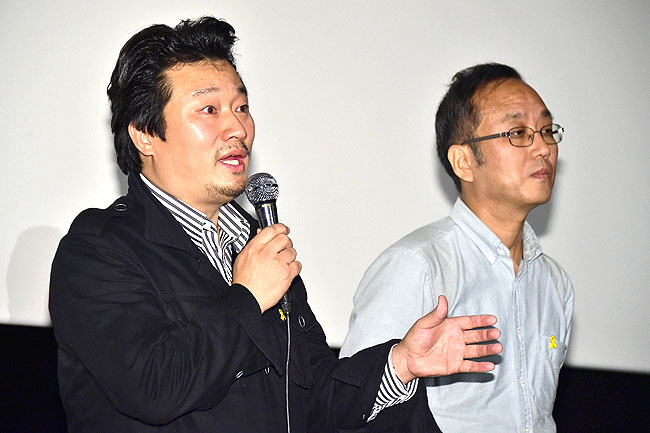 Director Im, celebrated for his reverential portrayal of Korean culture onscreen, further adds weight to the material by introducing such traditional features as traditional Buddhist funeral rites and saunas to make Revivre a truly Korean production that explores the issues from a truly Korean perspective. The relationship between Sang-moo and attractive new arrival Eun-joo is superbly paced and developed throughout the course of the film. The manner in which she is introduced into Sang-moo’s life, quite literally bursting into it, is a wonderful metaphor that sparks his interest in her and the possibility of a new life away from the stresses of his current one. Sang-moo’s affections for Eun-joo are captured with sincerity, from stolen glances at the office through to the palpable chemistry contained in their direct interactions. Much of the development occurs within Sang-moo’s imagination as he fantasizes about chance encounters that serve to add sweet romantic connotations to his infatuation, while scenes in which he behaves foolishly just in order to see Eun-joo are constructed with genuine care and affection. As Eun-joo, Kim Gyu-ri is perfectly cast. Her natural elegance and stunning beauty are entirely believable as distractions for Sang-moo, even as he desperately tries to be a good, dutiful man, while Kim’s performance as an independent career woman is also impressive. While Revivre is a powerful emotional drama for much of the running time, the film begins to lose its way as it attempts to come to a close. After featuring some incredibly powerful and nuanced scenes throughout the film as well as poignantly subtle character development, due to the quite ambiguous finale Revivre ends on a symbolic yet somewhat unsatisfying note. Director Im, however, wisely adds an epilogue of sorts to construct the end as coming full circle through traditional Korean Buddhist culture, conveying the inherent beauty in life, death and cultural forms as a means in which to appreciate the nature of existence. Revivre is director Im Kwon-taek’s finest, most accomplished work in years. His 102nd film, Revivre beautifully captures fraught emotional and psychological complexities with subtle elegance and grace, as a vice-president with a sick wife begins to fall for the charms of a new and quite beautiful manager. As the VP, Ahn Seung-gi provides his best performance in years and his collaboration with director Im produces a powerful film that only they, with their combined experiences, could have possibly achieved.